A few weeks into her first Accounting course as an undergraduate, Dani Barcellona knew she wanted to declare Accounting as her major – and eventually pursue a career in the field. "It was a subject that was exciting, fun and really just seemed to click for me," she said. Dani started developing relationships with professors in the school of business and keeping her eyes open to opportunities across a variety of accounting disciplines. The biggest lesson she learned from her instructors? Try as hard as you can, even if the goal seems impossible. Dani’s lofty goals took her across the globe. In 2013, she studied abroad in Seville, Spain, and in the spring of 2014, she traveled to Angers, France, where she served as a teaching assistant in a French high school – Dani speaks French fluently. "Travel has always been a passion of mine,” she said, “and I was able to learn so much more by going and experiencing other countries than I would have taking any number of classes on them." Travel taught Dani flexibility and the difference a positive attitude could make. Delayed flights, missed connections, unforeseen circumstances may change your plans, but you have to be able to adapt and create new approaches. Within a year of declaring her major, Dani thought that audit with a Big 4 accounting firm would be a good fit. She would be able to take advantage of offices around the world and tap into her love of travel, but she wanted to explore her options first. She gained leadership skills as president of the St. Edward’s University Accounting Club and took on internships in the financial, government, tech, insurance and audit sectors to see which energized her. 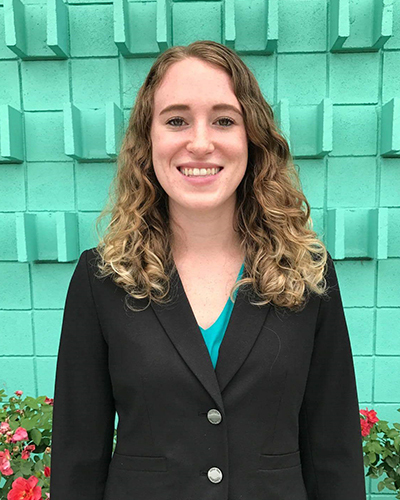 Dani worked in financial analysis and internal audit at GM Financial in the summer of 2014 and internal audit at Advanced Micro Devices (AMD) in the summer of 2015. In February 2015, she began the application process for a KPMG internship, and the following spring, she completed her internship – a full year after she submitted the initial application. By the time she finished her undergrad degree in 2016, she had accepted a full-time offer with KPMG. Dani coordinated a September 2017 start date so she could stay at St. Edward’s University and earn a Master of Accounting degree. 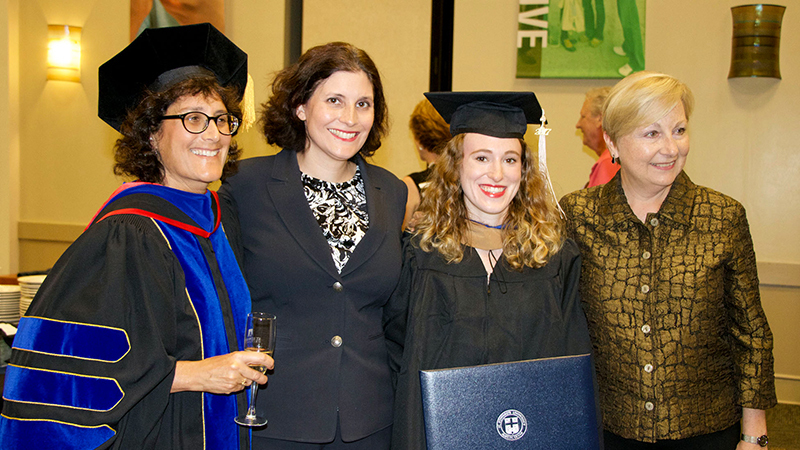 Surrounded by classmates who were committed to both work and education, Dani thrived. She connected with her peers and leaned on professors for career guidance. "Anytime I had doubts about how I was doing in class or what I wanted to do in life, or even some abstract idea that I wanted to discuss with someone, I could always turn to my professors for advice." As part of her master’s program, Dani even traveled on a weeklong trip to Taipei, Taiwan, where she and her team conducted business research for the global consortium GroHomes. Dr. Louise Single, chair of the Accounting Department, recognized Dani Barcellona as the Outstanding Graduate Accounting Student of the Year. This summer, Dani will move to San Francisco to begin her new role at KPMG – audit associate. She will work with one client for a few weeks and then rotate to a different client, allowing her to learn varying strategies, meet new people and explore several industries. Dani’s passion for learning and her desire for discovery makes northern California the perfect area to launch a career. "I think all of the experiences I have had, these last five years have taught me that things may not always play out the way you had them planned,” she said, “but they can still work out better than you ever imagined." "This has been my strategy throughout undergrad and grad school. If I was curious about a career path or aspect of the accounting or business world, I would always ask my professors about it." Try new things, even if they seem impossible or out of reach. "Whether that is with a job, travel or anything else in life, I think it is worth giving your best shot at something, because you probably have more of a chance at it then you think you do." Learn how to deal with disappointment. Rejection from an internship or job can be discouraging, but try to use that experience as a moment of growth. If you are passionate about something, go for it – regardless of the outcome. Keep in touch with former co-workers and professors. A network of academic and professional contacts can help you navigate work, or life in general.